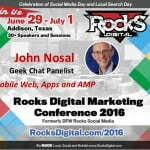 Robin Moss is the top frog at ribit, a full-service digital marketing agency she founded in 1994. Ribit provides clients with marketing and social media strategy, custom WordPress websites, eCommerce sites, SEO, content creation, graphic design and branding. Robin’s commitment to quality allows her clients to grow their businesses to the next level. 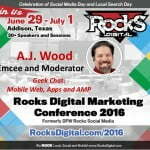 She works with startups from logo design, brochures and websites to strategy. With existing businesses, she updates their current “look” and develops marketing campaigns that drive their target markets to leap into action to buy their product or service. Ribit has won many awards – Dallas Tops, newmedia invision, Rockport Publishers, Web Awards, SXSW and One Show to name a few – but Robin was personally honored with Multimedia Producer Magazine’s Top 100 Award. Convinced that the key to the growth of her company is giving back to the community, Robin has always had ribit produce pro bono work – from the very first web site for the Susan G. Komen Race for the Cure, to her work for the Dallas Police Department, to the Dallas Junior Police and the Rotary eClub of District 5810, Robin continues to give back to the community that has treated her so well. Robin was born and raised in Dallas, Texas and received her BBA in Marketing and Advertising from Southern Methodist University and her MBA in Marketing from the University of North Texas. She presently lives in Addison, Texas with her poodle, a rescue dog, Catie. 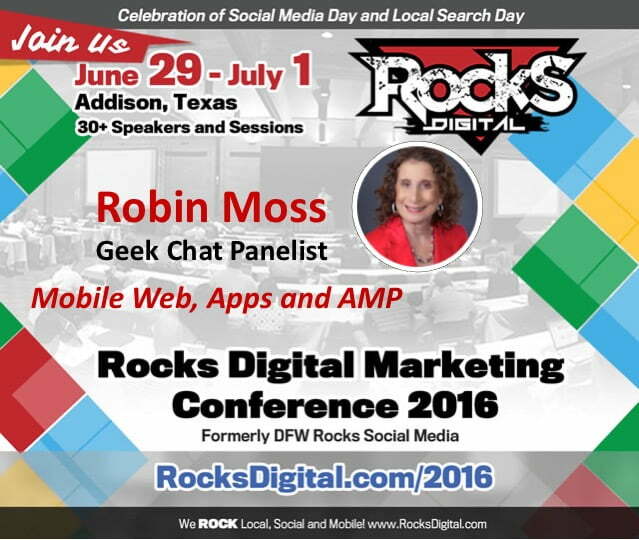 Leap into action with @RobinAtRibit on the #Mobile Geek Chat at #RocksDigital 2016!